Nearly all items are in 1:12th Scale, but some are small enough for 1:24th. 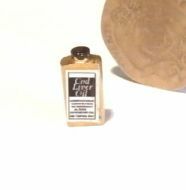 The packages, tins and boxes cover a wide range of years from 1870's to present day. All items can be used in kitchens or in shops. 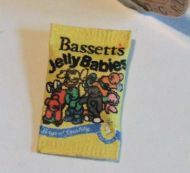 A Packet of Bassett's Jelly Babies (sweets) in 1:12th scale. 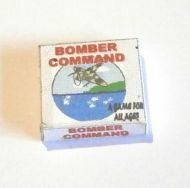 A Boxed Game caleld "Bomber Command" great for a nursery, Toy Shop or Boy's bedroom. 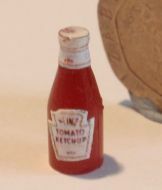 A Modern Bottle of Heinz Tomato Ketchup in 1:12th scale. 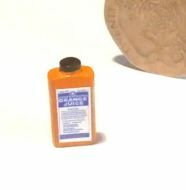 A Bottle of Concentrate Orange Juice also known as National Orange Juice. 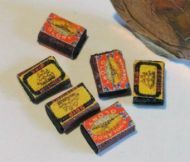 A Box of Ship Matches, in 1:12th Scale.